DEDLINE (AUS) (Bay 2010-Stud 2015). 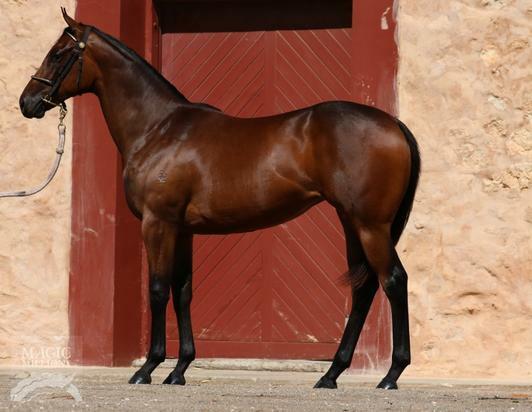 Placed at 3, 2d ATC Tab.com.au P. Half-brother to SW Lucida (AJC Nivison H., L) and SP Flora Danica (2d VRC Oaks, Gr.1). Half-brother to the dam of SP All That I Know. Out of SW Peruzzi, a sister to SW Don Eduardo (Australian Derby, Gr.1), a three-quarter-sister to SW Octagonal, SW Mouawad, SW Shower of Roses, SW Tristalove and SW Antwerp. His oldest progeny are yearlings. Chilliconi (g. by Bianconi). 3 wins to 1200m in Aust. Chilli Deva. 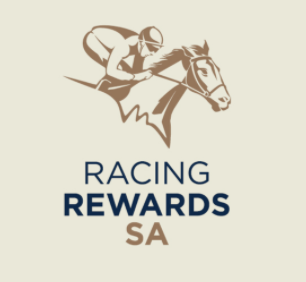 2 wins at 1200m, 1550m, SAJC Allan Scott Park Morphettville H., 2d SAJC Adelaide Casino H., 3d SAJC Palios Meegan & Nicholson Solicitors H., Schweppes H., Allan Scott Park Morphettville H.
Dreamin' Nina. Winner at 1700m in Aust. Chilli Stoush. 4 wins. See above. Chilli Smoo. 3 wins at 1000m, 1200m, SAJC Carlton Draught H., 2d SAJC Chairman Castle Tavern H., Fleur de Lys H., 3d SAJC Leader Computers H., Gliderol Garage Doors H., Click H.
Sense. Winner at 1200m in Malaysia, 2d SAJC Gillingham Printer 2YO H., 3d SAJC Zacheline 2YO H.
Shuwaib. 2 wins at 1200m in Malaysia. Ultra Vires. Winner at 1000m in Aust. Skirmish. 3 wins. See above. Ruling Event. 2 wins at 1000m, 1750m in Aust. Major Action. Winner at 1000m in Aust. Super Boy. Winner at 1200m in Aust. Queen Sapphire. 4 wins-1 at 2-at 1000m, 1100m in Aust. Maddie's Babe. Winner at 1600m in Aust. Turbo Charged. Winner at 1400m in Aust. Jamaica Gold. Winner at 2 in Aust. Super Action. Winner. See above. Miss Bletchmia. Placed in Aust. Master Pupil. 2 wins at 1600m in Aust. Shadows Bid. 2 wins at 900m, 1000m in Aust. The Real Cheval. Winner at 1700m in Aust. Eye Turner. Winner at 1250m in Aust. Ma Reign. 4 wins. See above. Young Darvan. 9 wins to 1200m in Aust. Royal Relko. 6 wins from 1400m to 3000m in Aust. Swap Over. 3 wins from 1200m to 1900m in Aust. Marrani. 3 wins at 1200m in Aust. Producer. Steel Line. 2 wins at 1600m, 2200m in Aust. Brazen Slipper. 2 wins at 1200m in Aust. Producer. RELKO LASS (Caboul). 3 wins-2 at 2-from 900m to 2100m, Tasmanian Oaks, Gr.3, 3d TRC Strutt S., L.
Drifting Apart (Blessington). 6 wins from 1400m to 1900m, TRC Bavarian Tavern H., 2d TRC Hobart Guineas, L.
Southern Spy (Prince Spy). 4 wins to 1400m, 2d Tasmanian Guineas, L.
Woodrow. Winner at 2100m, TTC Tafe Apprentice Cup. Mercy Reign. 8 wins from 1000m to 1650m, MVRC Ardmillan H. Producer.